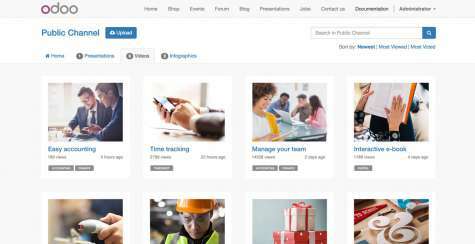 Simple and without any need for programming, the Odoo website app can be used to create a business website matching the look and feel of your company using drag & drop. Thanks to the fully integrated marketing package (SEO tools, call to action, A/B testing, visitor tracking, and email marketing), you can optimise your website at any time to gain more customers. 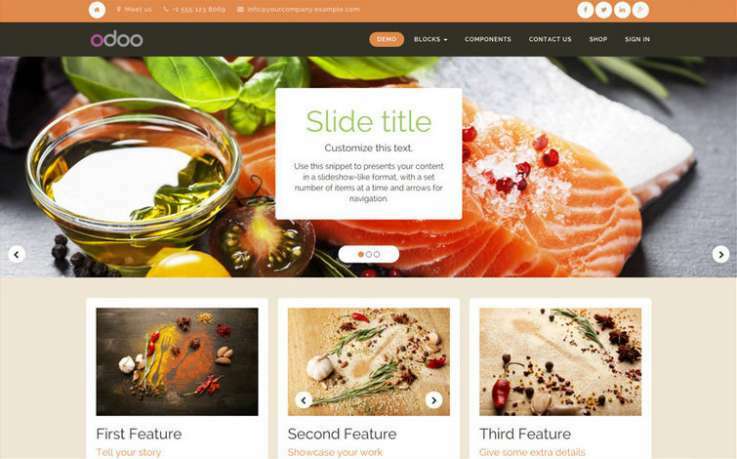 Odoo's online shop app makes it easy to create beautiful product pages in no time. Select the desired payment and shipping methods and off you go. Spare yourself from having to use expensive interfaces. Odoo eCommerce is fully integrated. “Content is king”. Start writing. The Odoo Blog app does the rest including attractive and responsive design. Get in touch with your community. Attract more visitors to your website. Recognise early what your customers need. A forum has its advantages. Simply use the Odoo Forums app. 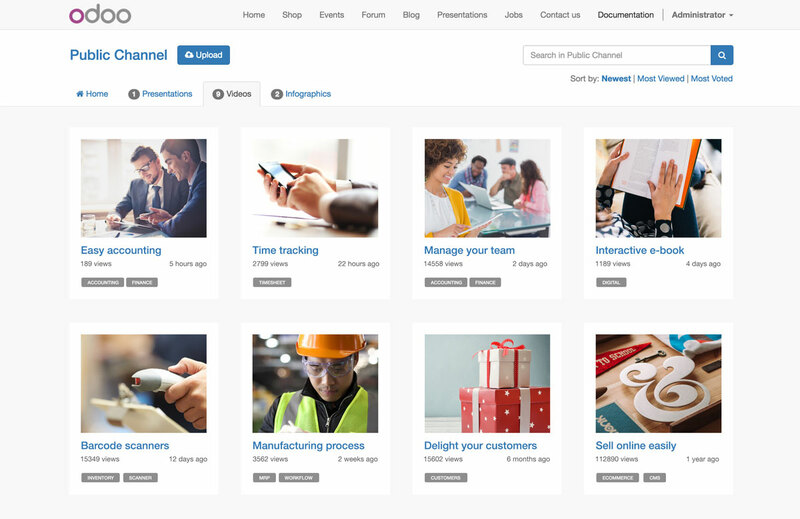 Easily publish presentations, videos, pictures and documents on your website. The Odoo Slides app helps you manage your documents. Improve your customer service quality and support your customers in real time.